Today I am very excited to introduce you to Neena from The Emerald Tree. Neena is a former soldier who makes beautiful, whimsical jewelry that makes me think of fantasy worlds and fairy lights. She also donates part of her proceeds to charity, to World Vision. As you can see, she's not only incredibly talented, but has a big heart. One of my favorites in her shop is her newest addition, the enchanted chair series. Be sure to check it out. Remember to leave a separate comment for each entry. This giveaway will be open one week, until midnight the 14th. I'll announce the winners on the 15th (next Friday). I love the Green Turquoise Memory bracelet! I love the red coral flower charm ring. Beautiful! 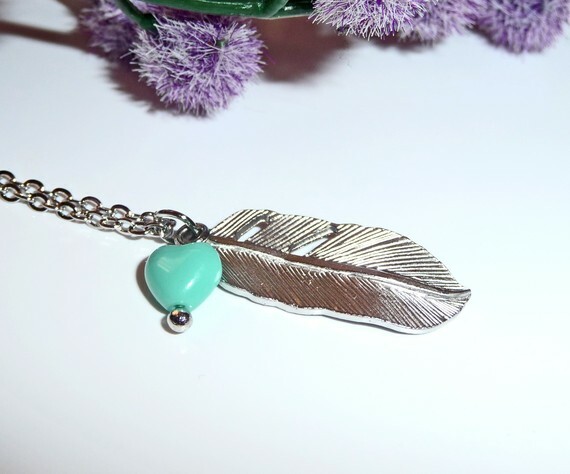 My favorite has to be the Silver Tree Branch and Puffy Turquoise Bead Necklace, I just LOVE it! I really like the Silver necklace with silver orchid flower and champagne swarovski crystal pearl pendant. 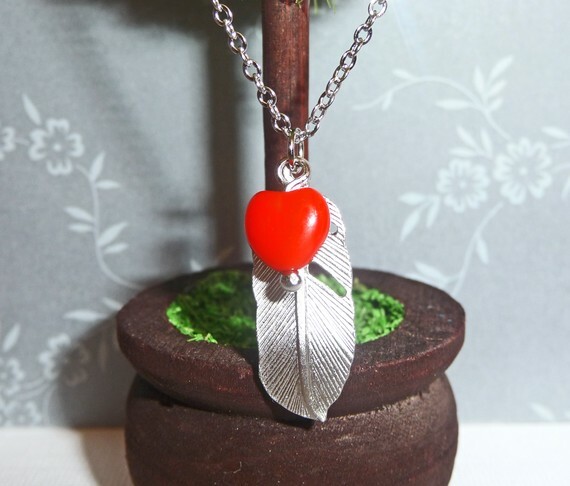 My favorite is easily the Love Me Tenderly necklace! Beautiful! What a great giveaway! I like the Silver necklace with Lampwork Hand blown grass green Hollow Glass Bead Jeweled tulip Cap Pendant from the shop! I like the "Romantic brass chair charm necklace with blue silver and hot pink flowers and hyacinth teardrop beads"